wild blackberries in the Northwest U.S. Rows and rows of wild blackberries grew in the pasture behind my childhood home. I will forever remember the fragrant smell of these wild berries on a warm summer night. When I began my flavor chemist training, my first impression of elderflower absolute was ripe wild blackberries on a hot summer night. The smell of wild blackberries drying in the hot summer sun is deliciously sweet, slightly floral, yet full of ripe berry richness. My siblings,the neighbor kids and I would fill empty stainless steel milk buckets with the berries. Sometimes, we made a cobbler, but most times, we just ate the berries we picked. Currently, my home in the Northwest U.S. is surrounded by wild blackberry plants. I love to inhale their delicious odor and their aroma relaxes me when I am outside a hot summer night. My children, much like myself, love to pick these berries and gobble them up. It is not easy to pick these berries. Large thorny bushes protect these berries. It confuses me to as whether mother nature wants us to take these berries? She tempts us with bright and colorful berries and yet she protects them ruthlessly. My hands and legs have scratches as proof of her vicious character. Mother nature gives berries their tempting aroma. Ionones, Irones and Damascones are the ketones that give berries their characteristic odors. A list of these ketones that are used in flavors and/or fragrances are well documented by John C. Leffingwell Ph.D. Ionones, Irones and Damascones are a natural metabolic product of carotenoids present in the berry plants. According to Kirk Othmer (Chemical Technology or cosmetics and Natural Products), the chemical structure of these ketones all contain a 2,2,6 trimethylcyclohexyl fragment. Ionones, Irones and Damascones are also found in flowers, peppermint, leaves, fruits and tobacco as well as berries. My natural blackberry flavors always included orris root concrete. Wild blackberries smell deliciously floral and their taste lingers with a fatty, woody, slightly bitter note. Orris concrete is floral, sweet and woody from the Irones that compose up to 15% of it. Orris is an expensive flavor material, so thankfully, despite its delicate character, orris concrete is incredibly potent. A flavor chemist might use the level of 0.005-0.001% of orris concrete in a food product. Besides the natural irones and ketones, orris is composed of myristic acid, oleic acids, methyl esters, and methyl acids. I have yet to completely understand and copy orris concrete and I am in awe of the flavor chemist or perfumer who can do this. I plan on enjoying another beautiful summer night this evening. 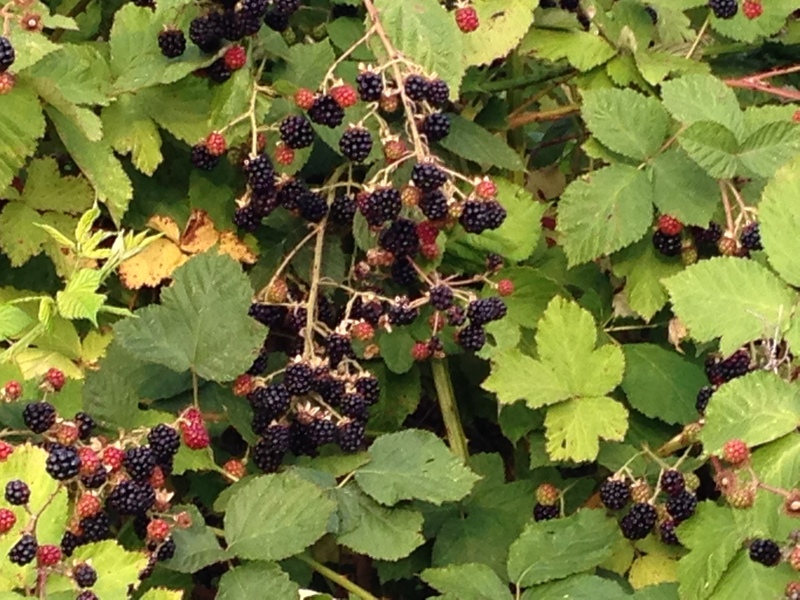 We will gather blackberries, gorge on them and perhaps make a beautiful pie like Northwest food blogger Marycake. 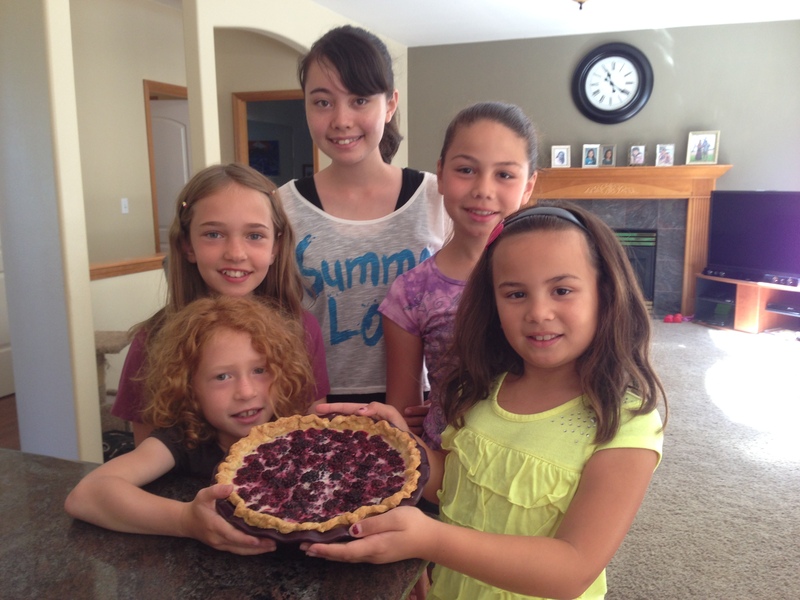 She made this beautiful and DELICIOUS blackberry pie for our families to enjoy. Thank you Marycake!